A passport-for-investment programme launched four years ago by the Cypriot government to rebuilt its economy, in the wake of the financial crisis, is being widely reported to have seen more than €4bn (US$4.5bn) pour into the country, as wealthy foreigners choose to invest at least €2m in the country in exchange for citizenship. According to such media organisations as the Cyprus Property News and Bloomberg, the scheme, which enables non-EU citizens to purchase Cypriot passports and residency permits by investing at least €2m in Cyprus property or €2.5m in government bonds or companies, has been particularly popular with Russians, who island sources say have accounted for roughly half of those who have signed up thus far. “This Moscow-on-the-Mediterranean has blossomed as Russians and their money flock to the tiny European Union outpost to become, in a sense, not Russian,” the Bloomberg report noted, after detailing how shop signs written in Cyrillic have become “abundant” in certain districts of the island. In Limassol, the second-largest city on the island after Nicosia, “yachts emblazoned with Russian monikers fill berths in a newly built marina” the Bloomberg report adds. Some 2,000 passports on, the revenue earned from the programme now accounts for around 25% of Cyprus’s annual gross domestic product, the Cyprus Property News report notes, adding that it “has outperformed a similar program in Greece by a huge margin”, and that it “is being credited with saving the Cyprus real estate market amid fears that a banking crisis could lead to its collapse”. The Greek scheme, which is a visa-for-investment programme, has been running since mid-2014, and offers five-year residence permits to foreign nationals who spend more than €250,000 on real estate purchases, according to the Cyprus Property News. 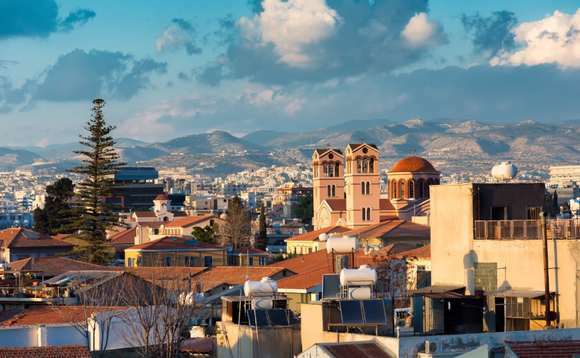 It said the Greek authorities have thus far issued 1,573 residence permits to foreign investors in Greek real estate, with most of the visas having gone to Chinese nationals (664), followed by Russians (348), Egyptians (77), Lebanese (73) and Ukrainians (67). To read the Cyprus Property News story on its website, click here. The Bloomberg story may be read by clicking here.